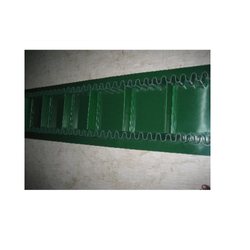 We are mainly a specialist in the Both Side Cleated Conveyor Belt, this item is customized. 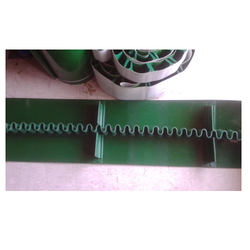 We have manufacturer this type belt as per our customer requirement.The belt snaps that cleats are fixed on both sides in equal distance. We are a leading firm engaged in offering a wide range of Ultrasonically Welded Cleated Belts. Our qualitative products are manufacture and developed by making use of best sourced raw material and latest technologies to ensure their high efficiency. 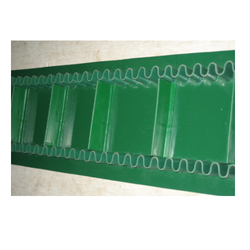 Our firm is counted amongst the significant names, offering a wide range of excellent quality Ultrasonically Welded PVC Green Cleated Conveyor Belt that are mainly used in material handling conveyors. 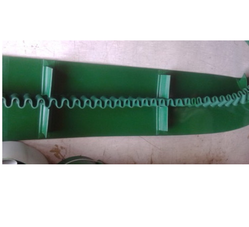 Our rich industry experience in this field enabled us to provide a wide range of Cleated PVC Green Conveyor Belt to our reputed clients. Looking for Cleated Conveyor Belts ?